This isn't an application as such but a widget for your dashboard. 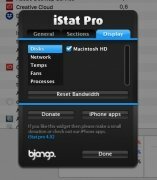 With iStat Pro, you can monitor all the hardware of your Mac without having to open thousands of windows, with a simple gesture you'll be able to view all that information on your computer screen. 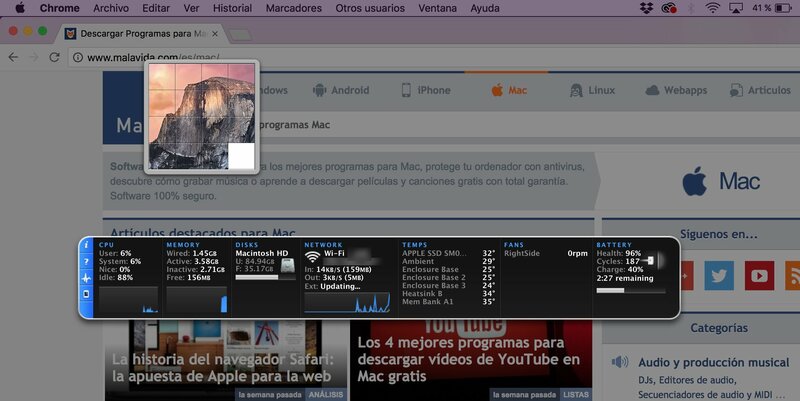 If you want to monitor whats going on your Mac, its temperature, your Internet connection, RAM management, CPU, battery or fans, just download this application which is totally compatible with macOS Sierra and macOS El Capitan. You just have to get hold of the right app for your Mac. 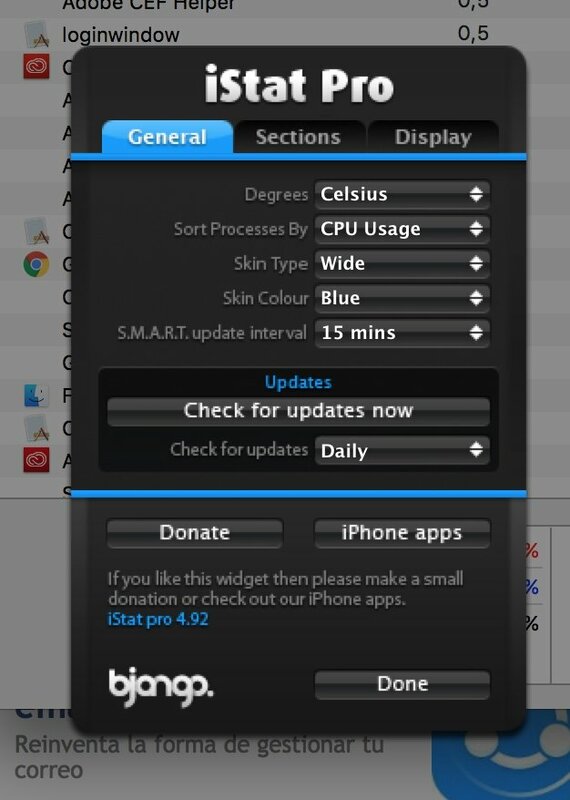 Once you've downloaded the widget, you can configure it and choose what you want to see and how. You can hide certain information if you consider that it's not important, as is the case of the fans since the new Mac only has one it activates when the computer is working at full throttle. Remember that it's a widget, it isn't installed through a DMG file. Once you click on the file, you'll be asked if you want to install it on your dashboard: just say yes to start making the most of its features. 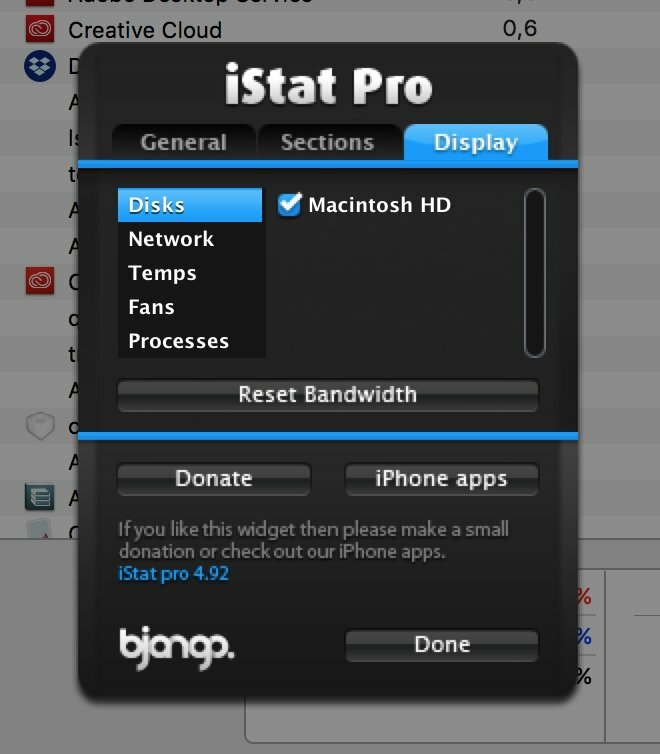 If you're not too happy with this tool and you prefer to have it in a more visible place, there's an alternative created by another developer: iStat Menus 6. 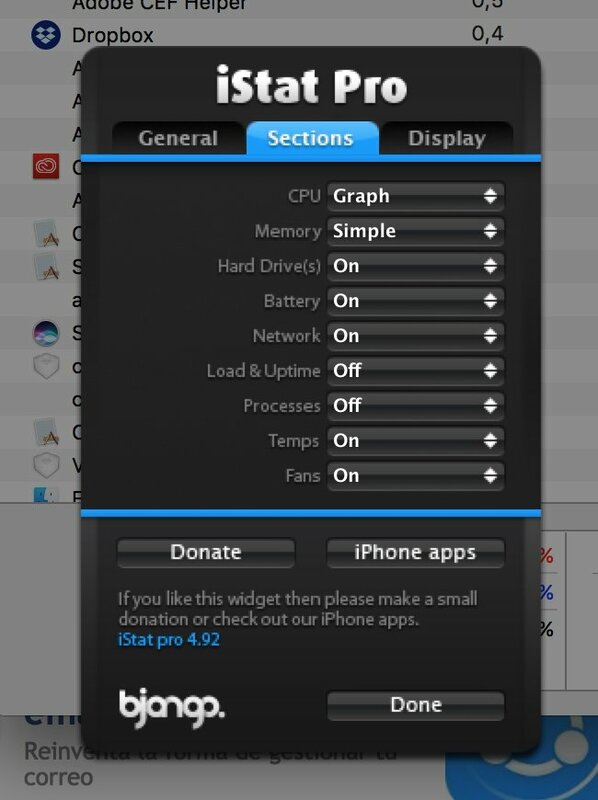 This application is shown in the status bar of your Mac, allowing you to see whatever information about your hardware you want and whenever you want.